After continuous decline in oil prices in international market since 2014, they are just recovering now. But now it seems that most of the countries in the Gulf region, have entirely changed their economic policy and they are relying heavily on non-oil sector for their economic growth. It is especially true for UAE. Several recent reports have confirmed that the rich Gulf country is giving more incentives to different non-oil sectors and the share of these sectors in country’s GDP is increasing continuously. According to a recent report by an international organization, Coface (a Paris-based credit insurer), the non-oil sectors will form the bulk of economy in UAE in the current year. It is expected that international tourism and household consumption will provide assistance to the private sector. This will result in the exceptional growth of various sectors like pharmaceutical, domestic appliances and metals. The report also highlights the importance of the recently applied VAT (value added tax) that will form the key of government revenue due to country’s large consumer base. The organization believes that UAE is a safe haven despite uncertain geopolitical situation. All the economies in GCC are recovering slightly and it is expected that their fiscal performance will improve in 2018. In contrast, UAE was the only country in the region that managed to perform better in the past two years. The report also describes the performance of construction sector in the past year and also its prospects in the future. Currently, the construction sector is growing with an impressive rate of 7.7% in the 2nd quarter and 7.5% in the 3rd quarter in 2017. The sector produced highest level of growth among all the sectors during the financial crisis. An important factor that is responsible for such high and rapid growth in the construction sector is the upcoming Expo 2020. As the preparations for the event will remain continue in the current year and beyond. Therefore, it is expected that the growth in construction sector will remain high in 2018 and the coming years also. 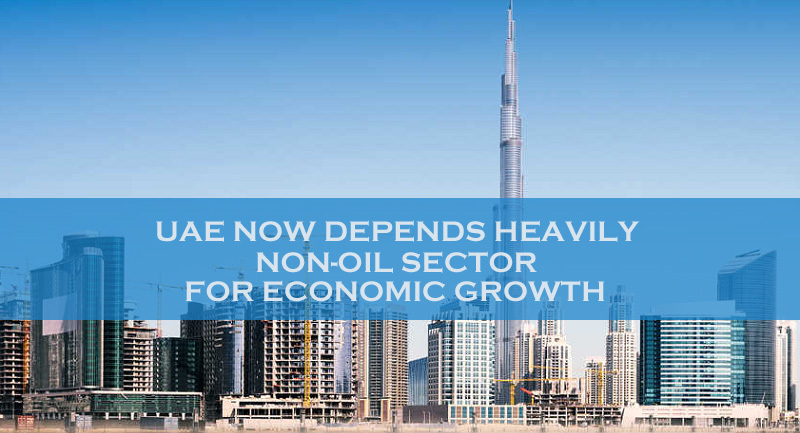 This recent report by a formidable international institute has once again highlighted the fact that UAE is diversifying its economy and non-oil sector is rapidly replacing the oil and gas sector in the country. This is the best time for foreign investors to start various types of businesses in UAE as the government is providing lucrative incentives for various non-oil sectors. For further details and assistance, you can contact Riz & Mona Consultancy via our WhatsApp # 971-56-9971225.